Take a Dutch bike tour in style! 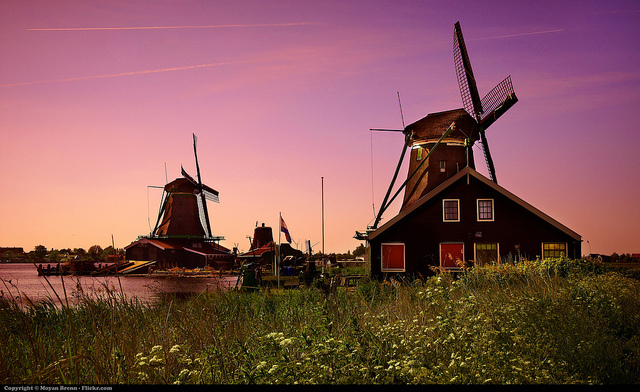 This Dutch cycling holiday gives you the exciting opportunity to take a trip back in time to Holland's Golden Age. You will spend a week aboard the Soeverein, a three masted ship built in the style of the East India merchant ships of the 17th century. 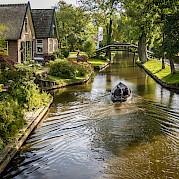 Cycling through flat green polders, along old dikes and through idyllic towns, your daily destinations are to some of the most beautiful ports from the heyday of Holland's economy and culture. From the big upper deck of your tall ship, you have a magnificent view of the water and the coastline. The daily cycling routes are flexible allowing you to choose from among tours of different lengths for that particular day. You can also remain on board where passengers are encouraged to take an active role in the sailing of the vessel if the wind is good! 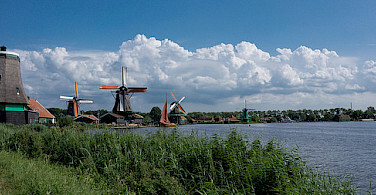 All of our options for bike and boat tours in Holland can be found here. Fly to Amsterdam International Airport (Schiphol). Schiphol train station is situated directly below the airport. Direct trains to Amsterdam Central Station run every 10 to 15 minutes between 6 am and 12:30 pm (every hour during other times). 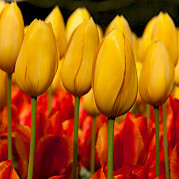 From Amsterdam Central Station, trains leave every 30 minutes (journey time approximately 45 minutes) to Lelystad station. Cost is €10. Train ride is a little less than a hour. Bus number 3 runs every 30 minutes from Lelystad station to Bataviahaven, the port where the ship will be moored. Please check local conditions before arrival. 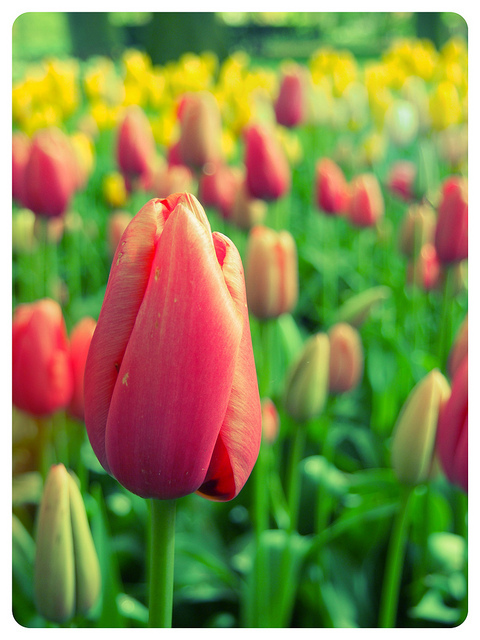 Average high/low temperatures in degrees Fahrenheit for the area are: July, 69°/55° and August, 70°/55°. Please note, the sails are only used when the weather permits and when the wind is right for sailing. Aboard the Comfort class ship, the Soeverein, a three masted ship built in the style of the East Indian merchant ships. 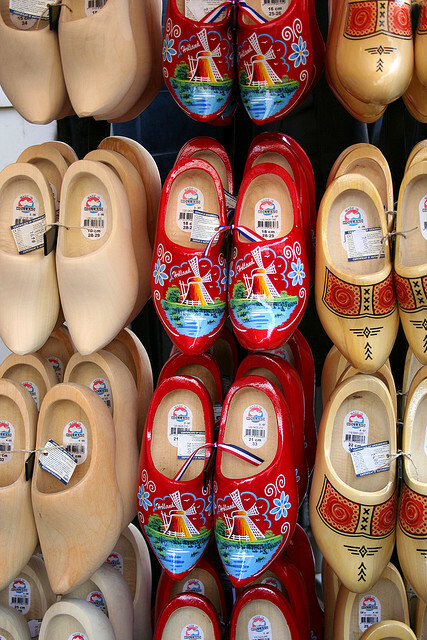 Extend your stay in Amsterdam. Ask us for hotel recommendations! This is classified as an easy, self-guided bike and boat tour on mainly flat, asphalt bike paths and roads with little traffic. 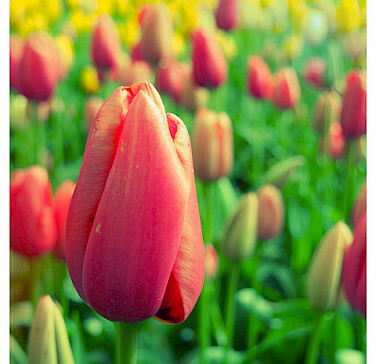 Daily programs are flexible allowing you to choose from among tours of different lengths. Distance options do not exceed 37 miles. 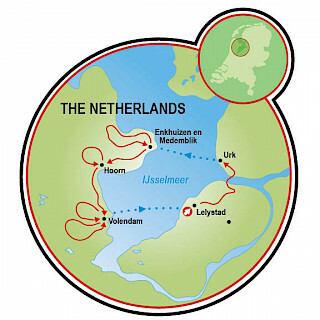 Your Holland cycling holiday begins at 6 pm aboard the Soeverein in Lelystad. Near the docking area, there is the Batavia Shipyards with full-scale replicas of two impressive East India Company ships. 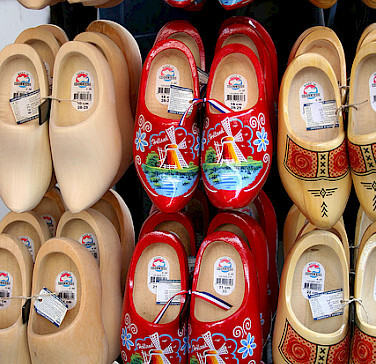 If you prefer shopping: Holland‘s biggest outlet shopping mall is also within walking distance. Around 7 pm, there will be will a dinner together on board the Soeverein and after, the crew will be introduced and information will be given about the ship and the upcoming cycling adventure. 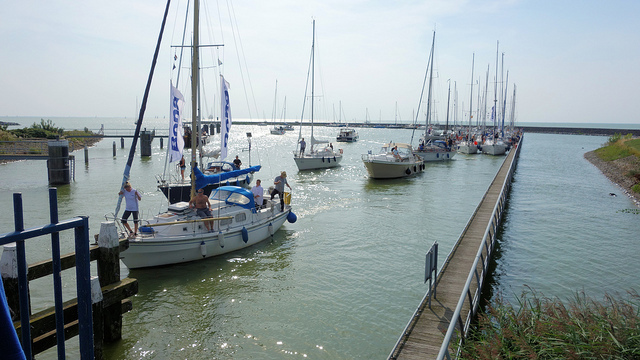 From Lelystad, the Soeverein will set course across the Ijsselmeer to Urk. Since the draining of the Noordoost polders, several former Zuiderzee islands are now part of the mainland. 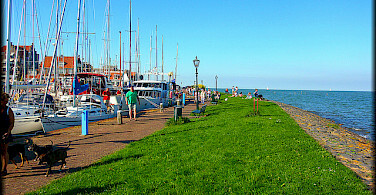 The harbor town of Urk is the first former Zuiderzee Island the group will visit. The fishing harbor and the historical town center are two impressive sights along the way. 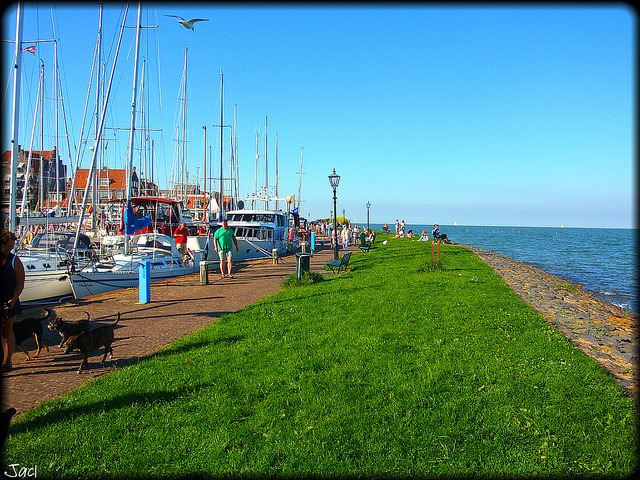 You might even see some of the Urk citizens in traditional costume. By bike, you will travel to the second former island of Schokland, which has been a UNESCO World Heritage Site since 1995. 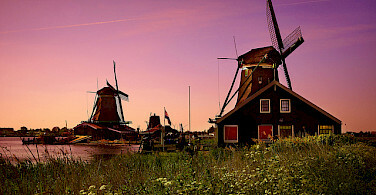 The open-air museum in Middelbhourst brings the history of the island to life. Also worth seeing are the works of contemporary sculptors there. After breakfast, the Soeverein will sail from Urk to Stavoren in Friesland. 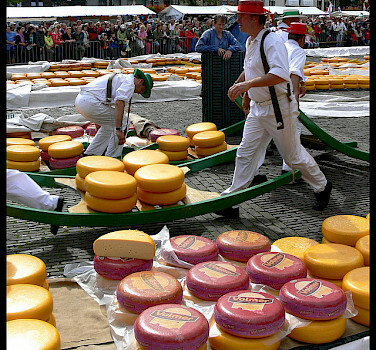 You will pass many lakes and farms that are typical for Friesland. The land between the lakes consists largely of grass meadows; this makes the Frisian lake territory an excellent place for cycling tours. The route leads to Molkwerum, Koudum, and Galamadammen situated between the lakes ‘De Morra‘ and ‘De Fluessen‘. From this point, there is a beautiful view across the water. The cycling tour continues along the dike near the nature reserve ‘De Voegelhoek’. The ride back to Stavoren goes through the villages Hemelum and Bakhuizen, and the smallest Frisian fisher‘s village Laaxum. 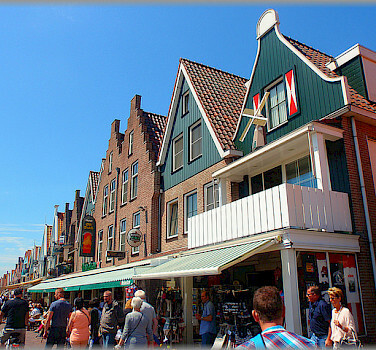 Stavoren is the oldest city in Friesland and home to the folk tale “The Lady of Stavoren”. 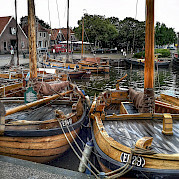 In the morning, the boat will depart from Stavoren to Enkhuizen. There will be a midday snack on board. 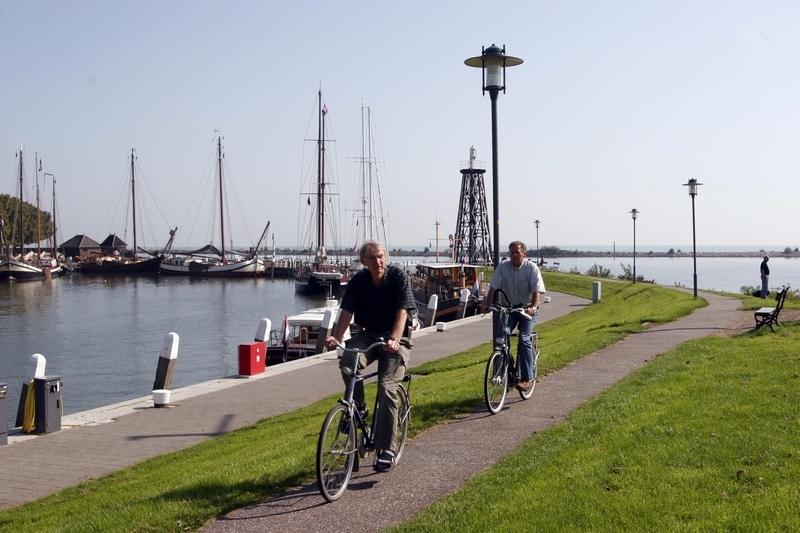 Then, the cycling will begin from Enkhuizen across the old Zuiderzee dike to Medemblik, the oldest Westfriesian town where today, you can explore historical houses, street cafes, small museums, or Schloss Radboud. The ride back to the boat is by way of green polders via the nature reserve Groote Vliet and the villages Oostwoud and Lutjebroek. After dinner, enjoy a long stroll through Enkhuizen. 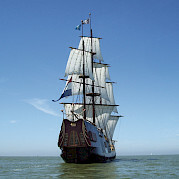 The Soeverein sails in the morning for about two hours from Enkhuizen to the historical Ijsselmeer town of Hoorn. 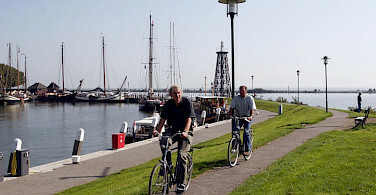 You have the choice of completing this leg of the trip by ship or by bike across the old Zuiderzee dike (15 miles, 24 km). Sailors and cyclers will then meet up for lunch on board. 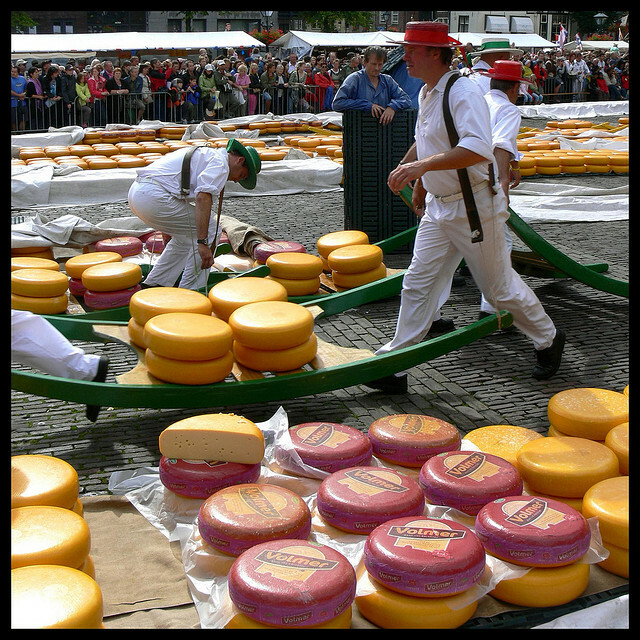 Afterwards, it‘s back on the bikes for a ride through the splendid Westfrisian landscape in the direction of Wognum, Obdam, Rustenburg, and across the dike via Scharwoude back to Hoorn (26 miles, 42 km). Touring Hoorn, you will see many monuments from the days of the East India Company, which had a subsidiary here. The ship sails in the morning from Hoorn to Volendam, with a swing around the island of Marken. 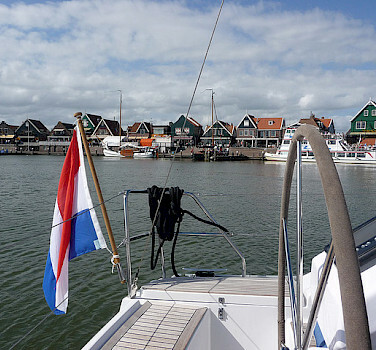 Today, there are two options: Firstly, sail from Hoorn to Volendam with lunch on board and afterwards a short cycling tour from Volendam to Monnickendam (14 miles, 22 km), Edam (6 miles, 10 km), or Marken (25 miles, 40 km). The other option is the cycling tour from Hoorn via Schermerhorn, Grootschermer, Graft, de Rijp, and Edam to Volendam (29 miles, 46 km). Touring Dee Rijp is like taking a walk back through the 17th Century. Sailors and fishermen formerly lived in the houses with wooden gables. Lunch will be served on board or a packed lunch for those on the road. 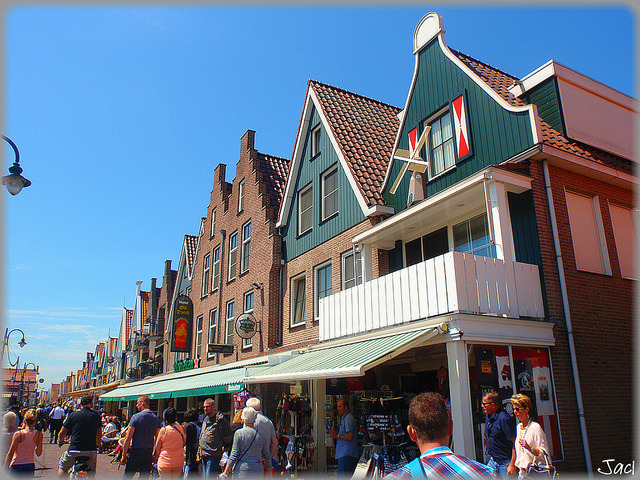 Those who still have energy after this tour can also visit Monnickendam, Edam, or Marken – or take a comfortable ride on the ferry from Volendam to the picturesque island of Marken (bikes can be taken along). 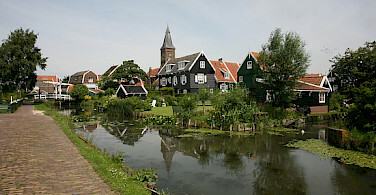 Marken is also a former island that today is linked to the mainland by a dike. 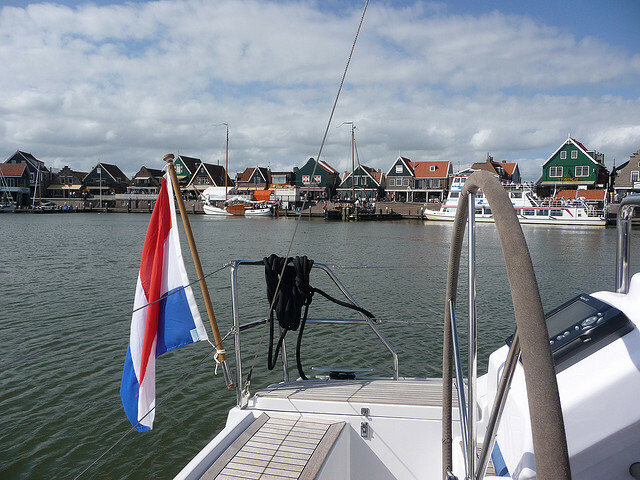 There is something for everyone in Volendam: a lively harbor scene with souvenir shops, fish shops and cafes, idyllic side streets, an eel smoke-house, aswell as modern yachts and traditional sailboats in the harbor. After breakfast on board, the sail back to Lelystad will take about 4 hours. 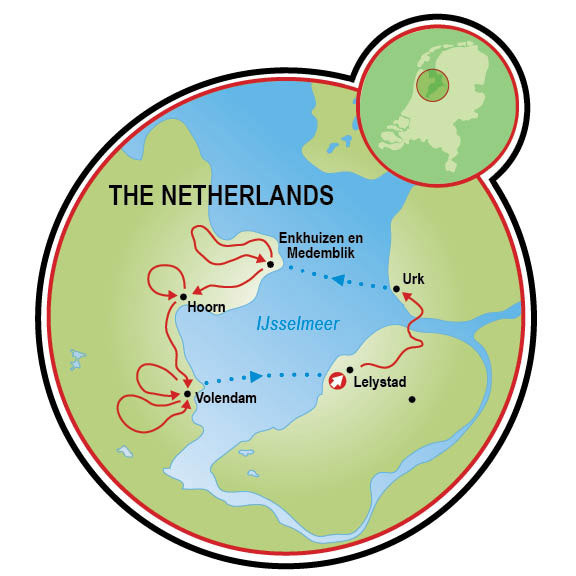 The cycling tour will take you through a unique region: the Nature Reserve Oostvaardersplassen. Since its reclamation from the freshwater lake IJsselmeer, the vegetation of this wetland below sea level has been rapidly developed by natural succession. Oostvaardersplassen is home to a large variety of bird species. Heck cattle, red deer, and konik horses live here in wild herds and call this area home. This tour is run by Travelydays. My sister and I have taken many bike and barge tours. This trip was the first that we were disappointed with accommodations, staff, meals. We were not the only ones who felt this way. Sorry I would not recommend the tour. I will continue to monitor your website for future excursions. Soeverein Netherlands Premium Class Boat The Soeverein is a 3-masted ship built to resemble the East Indian merchant ships of the 17th century. From the large upper deck, you will have a magnificent view out over the water and coastline. Below deck are comfortable guest cabins, a professional kitchen, and a large lounge to make your stay on board comfortable and relaxing.